The word “Satan” is rarely used in my writings and that is a lot of writings – over 3000 articles! I am using the word Satan today to denote the dormant evil side in each one of us, but remains under control with a majority while messing up a few souls among us. Those who fall for the Satan make it their business to pit one against the other. They manufacture hoaxes and place wedges between Jews and Muslims, Jews and Christians and invoke nativism. They forget that they were once strangers too. In India, these men place wedges between Hindus and Muslims. They are not happy with what they do, but keep doing it instead of getting out of it. Cohesion is a strong anecdote to division. Occasionally it makes sense to address one or two incidents to bring sanity to the situation. The two opposite incidents I witnessed today caused me to write this essay. What a joy it was meeting Rabbi Alana Suskin and Haytham Younis, a Jew and a Muslim who are planning to make short videos about strengthening Jewish-Muslim relationships. It was a reinforcement of the goodness I witnessed a few weeks ago where the Jews and Muslims came together for building a secure America for every American. Jewish Muslim Relationship get a big boost in Washington, DC. But when I went home and opened the email, I saw an email from a friend who was beholden by the Satan. The evil in us continues to plot one group against the other; it started from the very beginning of mankind and will continue to happen. All we have to do is guard ourselves and not fall in to their trappings. My instant reaction was this cannot be true, and it did turn out to be a hoax. 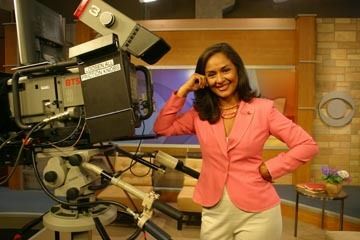 Way back in 2006 – Maria Arita of Fox News in Dallas called me up and wanted to know what to do with the News items she had just received. “France had banned teaching about Holocaust because French Muslims had demanded it.” I was stunned, here I am, organizing the first Holocaust Memorial event, first time in the world organized by a non-Jew and first time by a Muslim and first time in a non-Jewish space, and I had just fought off Ahmadinejad’s Holocaust denial in Dallas Morning News and thanks to nearly 30 Muslims who wrote to the Morning News that Ahmedinejad does not represent Muslims and his words are not to be taken seriously. Maria gave me time till the evening to come up with a response. I dropped everything I was doing and called on my Jewish friend Bernie Mayoff and Late Elliott Dlin, the director of Holocaust Museum in Dallas, they found out it was a hoax. Maria thanked me and the item did not make it to the evening news. Imagine the damage it would have done to the Dallas community? The ignorant among Jews would have bought the story and build up their hatred for Muslims. Likewise the ignorant among Muslims would have believed it was a victory for them. What a shameful thing it would have been for both the communities. Around the same time, there was another hoax against Iran that they were persecuting Jews, Bahá’ís and Zoroastrians. We wrote petitions and someone found out from Jews living in Tehran that it was not true, it apparently came from a Jewish Member of Parliament in Iran. Let me state this unequivocally, and most Muslims would agree with me on this. America is a great nation and we have to do everything to keep it that way including assuring the disaffected Americans that they need not worry; and that their culture and their way of life will not change due to immigrants or Muslims. We are all better off in making sure America remains America. You are who you are and I am who I am; let’s learn to live with each other by respecting the otherness of other and accepting the God given uniqueness of each one of us. We should be on the same page and yes, we will make the right calls! We the people, the Muslims, love this country and we will keep it that way. As American Muslims we uphold, protect, defend and celebrate the values enshrined in our constitution. Our faiths reinforce the idea of one nation with liberty and justice for all. Let no one place a wedge between any two of us, together we can do a lot of good, against each other we both weaken. When politicians play Satan, they don’t see all of us as God’s children, and feel entitled to more privileges than the other. Hell no, we are all created equal, and the anti-dote to division is for us to come together as Americans more frequently than we have been doing now. » Jewish Muslim Relationship gets a big boost in Washington, DC. » Is it worth talking with right wingers and radicals?